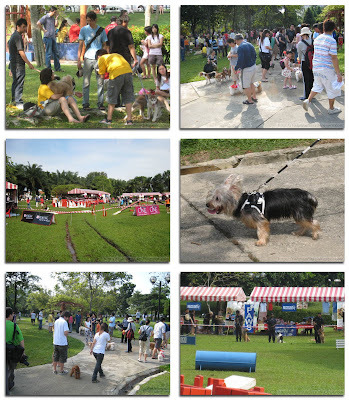 We brought Axel to the Malaysia's Responsible Dog Ownership Day event at Central Park, 1U this morning. 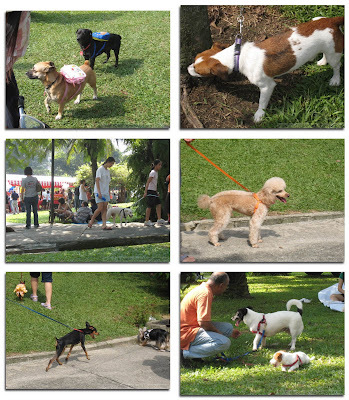 This event was organised by puppy.com.my. They have organised many similar events in the past but this was the first one that Axel has attended. I thought Axel had a blast. 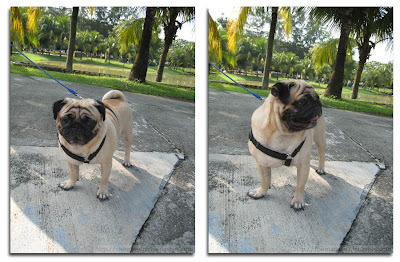 He got to meet many friends, some whom he showed interest by sniffing; some he just walked on by. Hey, dogs do have preference too when it comes to making friends! The turnout was huge. There were so many people and many different type of dogs around. 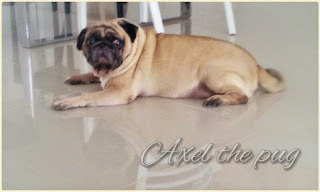 There were also quite a number of pugs... but by the time Axel met up with them, he was already too tired and preferred to sprawl on the ground than to socialise. There was one very disappointing thing to see though. Some dog owners did not pick up after their pets. They just let their dogs poo'ed everywhere and didn't bother to clean those up. 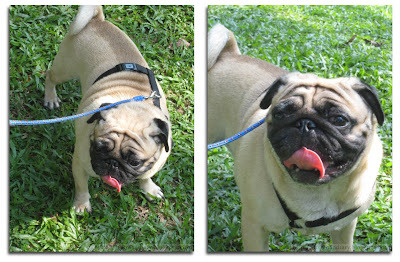 After all, this is the Malaysia's Responsible Dog Ownership Day. I guess these are the bad apples that gave other dog owners a bad name. If you are one of these bad apples, SHAME ON YOU!! Following are some of the pictures taken there.